September 15, 2008  For its latest album, the New Orleans funk band laced a new element on top of its groove-based jams: hip-hop MCs. 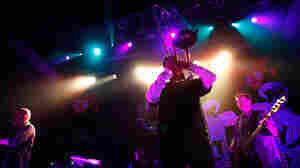 On tour, Galactic visited Mountain Stage with one of its guest stars, Boston rapper Mr. Lif. January 3, 2008  Galactic may have begun as a straightforwardly funky jam band, but it's since evolved to incorporate electronic elements and a greater emphasis on hip-hop. 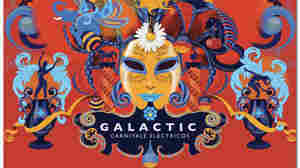 Hear Galactic in an interview and performance from WXPN. November 16, 2007  Galactic may have begun as a straightforwardly funky jam band, but it's since evolved to incorporate electronic elements and a greater emphasis on hip-hop. Hear Galactic perform a concert from WXPN and World Cafe Live in Philadelphia. February 21, 2012  The New Orleans funk band's latest album takes listeners from Fat Tuesday to Ash Wednesday. 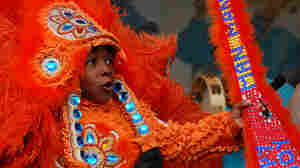 January 17, 2012  The New Orleans party band offers up a preview of their first-ever Carnival record. February 9, 2010  Blending funk, hip-hop, and jazz sounds, the New Orleans-based band Galactic combines musical genres to create a new sound that they make their own. Critic Ken Tucker says heir newest album Ya-Ka-May is a true rhythmic pleasure.